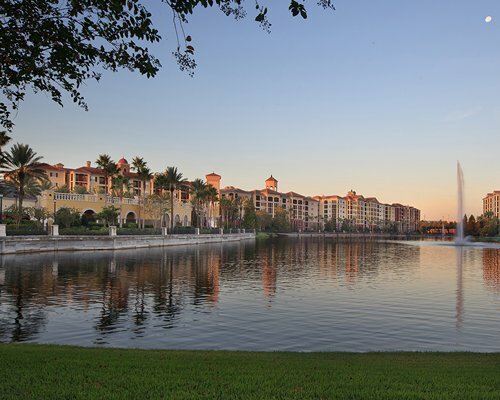 Inspired by the beauty and ambience of Tuscany, this distinguished resort in the heart of Orlando provides easy access to the region’s top attractions. 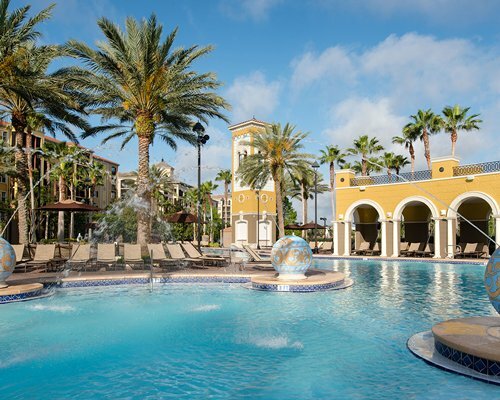 Here, a grand piazza opens up to a clubhouse, lakefront walking path and dazzling swimming pools and water features. 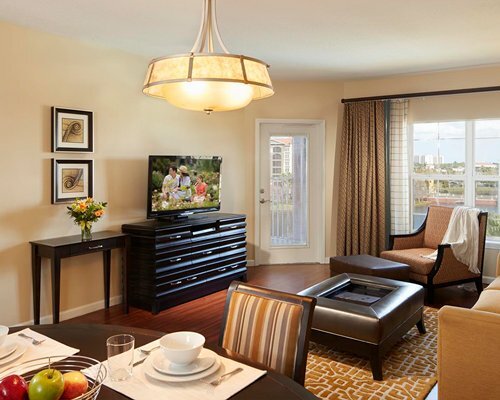 Within minutes of the theme parks and adjacent to the Orlando Premium Outlets, Hilton Grand Vacations Club at Tuscany Village treats guests to extraordinary amenities and is the ideal setting for fun and relaxation. 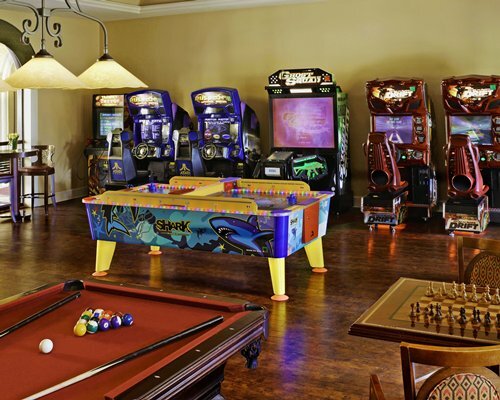 Your luxurious vacation home is air- conditioned and features a telephone and television with DVD player. Studio units OCC: Max 2/Pri 2 feature 1 king bed, 1 bath and a mini kitchen. 1BR units OCC: Max 4/Pri 2 feature 1 king bed, 1 queen sleeper sofa, 1 bath and a full kitchen. 2BR units OCC: Max 6/Pri 4 feature 2 king beds, 1 queen sleeper sofa, 2 baths and a full kitchen. 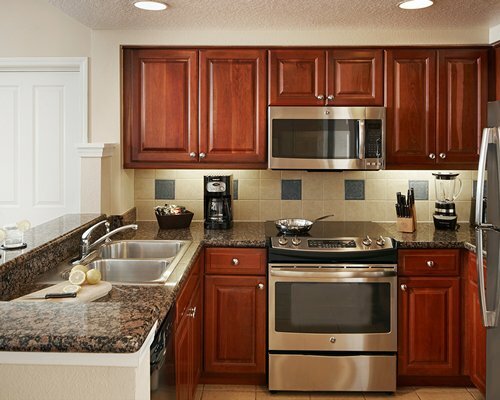 3BR units OCC: Max 8/Pri 6 feature 2 king beds, 2 double beds, 1 queen sleeper sofa, 2.7 baths and a full kitchen. 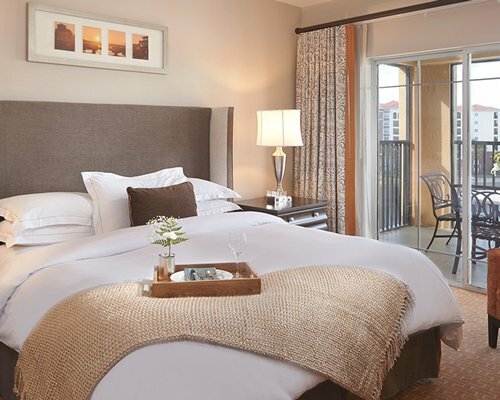 Housekeeping fees: Points reservation fees range from $25 to $40 for less than 7 night stays. 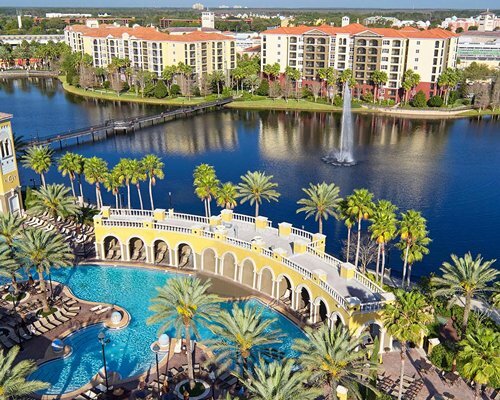 Situated on 34 acres on the southwest corner of International Drive, Hilton Grand Vacations Club at Tuscany Village is within minutes of Walt Disney World(R) and Universal Orlando Resort , and is adjacent to the Orlando Premium Outlets. 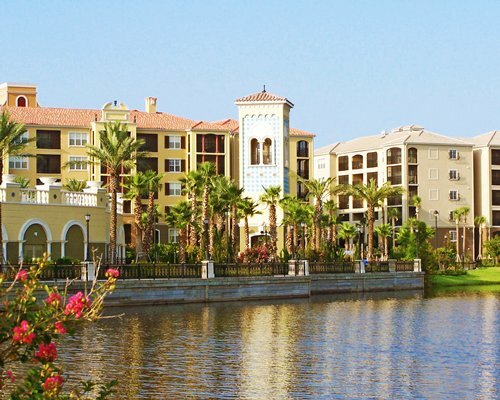 Designed with a Mediterranean theme, the resort is reminiscent of an Italian village in Tuscany featuring lush landscaping and gardens with a lakefront promenade. 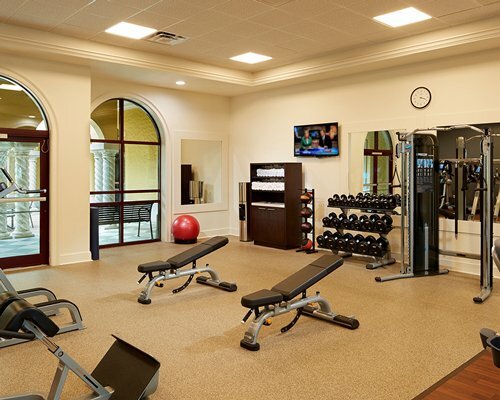 Recreational amenities include a fitness center, sports court, and elaborate water features that include fountains, swimming pools, whirlpool spas, and an interactive children's pool. Start out going south on Airport Blvd W. toward Airport exit. Follow signs to SR-528. Take the SR-528-Toll West ramp toward US-17/International Drive/US-441 US92/Turnpike/I-4. Merge into the Bee Line EXWY/FL-528 West (this is a toll road). Take this to exit #1 International Drive. Turn left onto International Drive South. Turn right onto Vineland Road then turn left onto Arrezzo Way. This will take you directly to the resort. Mandatory Daily resort charge is 25.00 U.S. dollars. Only Credit Cards accepted. "Housekeeping fee for all RCI points reservations: There may be a fee of 29 U.S. dollars for Studio, per stay. Only Credit Cards accepted." Fee plus tax, for less than 7 night stays, effective January 17, 2018. 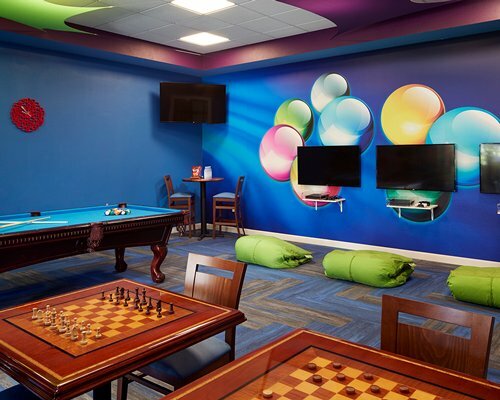 "Housekeeping fee for all RCI points reservations: There may be a fee of 38 U.S. dollars for 1 Bedroom units, per stay. Only Credit Cards accepted." "Housekeeping fee for all RCI points reservations: There may be a fee of 52 U.S. dollars for 2 Bedroom units, per stay. Only Credit Cards accepted." "Housekeeping fee for all RCI points reservations: There may be a fee of 80 U.S. dollars for 3 Bedroom units, per stay. Only Credit Cards accepted."